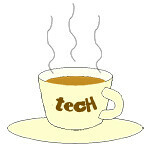 SanDisk « Tech bytes for tea? Western Digital launched in Singapore today the WD My Cloud Home, SanDisk iXpand Base and SanDisk Ultra microSD 400GB. Capacities and prices below. Three new storage solutions from Western Digital launched in Singapore. The three new storage devices are targeted at various facets of backing up and sharing the photos and videos captured by the numerous mobile devices that an individual or a household captures. Details from the press release and price lists below. The SanDisk Ultra Dual Drive m3.0 provides additional storage space for OTG-enabled Android smartphones and tablets. Available on Lazada, the drive comes in capacities of 16GB (S$12), 32GB (S$16), 64GB (S$30) and 128GB (S$59). The new SanDisk Ultra Dual Drive m3.0 comes with 5-year warranty, and is now available in Singapore exclusively on Lazada. The SanDisk Ultra Dual Drive m3.0 features a retractable design with both a micro-USB and USB 3.0 connector, providing a convenient way for users to manage their files between different devices. The device’s USB 3.0 connector offers speeds up to 150MB/s for transferring files. The SanDisk Ultra Dual Drive m3.0 helps Android users quickly transfer files between their device and a computer or free up space on their phone. SanDisk SSD Plus come with a three-year warranty and will be available in capacities of 120GB (S$89), 240GB (S$189) and 480GB (S$239). The SanDisk SSD Plus is for users looking to improve performance on an existing laptop or notebook at a fraction of the price of purchasing a new system. The SanDisk SSD Plus offers customers faster boot-up and shutdown times, improved application response and data transfer and improved overall system performance. By installing the SanDisk SSD Plus, users can instantly upgrade their laptop or PC, and eliminate the need to completely replace an aging laptop or desktop PC. SanDisk’s new family of high performance portable SSDs features the faster transfer speeds of the USB 3.0 and USB 3.1 specs. The Extreme 900 Portable SSDs offer Type C connectors, top speeds and higher capacities, while the Extreme 500 series offers portability and ruggedness. The Extreme 500 (left) and Extreme 900 (right) Portable SSDs targets photographers, videographers, creative professionals and tech enthusiasts looking to move massive files at phenomenal speeds, helping them save time and simplify work processes at the office or out in the field. The SanDisk Extreme 900 drives with their Type C connections feature USB 3.1 speeds of up to nine times faster that of a portable hard drive running on a USB 2.0 connection. The SanDisk Extreme 500 drives with USB 3.0 offer speeds up to four times faster. The new family of SanDisk Extreme Portable SSDs also feature SanDisk SecureAccess software with 128-bit encryption to secure files. The Extreme 500 portable SSDs will be available in Singapore during COMEX 2015 next week while the Extreme 900 series will be available in end September 2015. The USB flash drive streams content to up to 3 devices simultaneously and each charge can support up to 4.5 hours of continuous streaming to 1 device. Available in Singapore during COMEX 2015 next week. Prices below. The SanDisk Connect Wireless Stick features a two year warranty. Part of the SanDisk Connect Wireless family, the consumer mobile storage device is available at 16GB (S$49), 32GB (S$69),64GB (S$99) and 128GB (S$169) capacities. The SanDisk iXpand Flash Drive has a Lightning and USB connector and easily increases the memory storage for your iPhone or iPad. Available now in Singapore in 16GB (S$88), 32GB (S$128) and 64GB (S$188). The iXpand Flash Drive is a powerful, yet simple-to-use solution that quickly transfers photos and videos from an iPhone or iPad to a Mac or PC — all without cables, Internet connections, or bandwidth limitations. The SanDisk iXpand Flash Drive is the storage company’s first USB flash drive designed specifically for the iPhone and iPad. “According to IDC, nearly three-quarters of all images are now captured on smartphones and tablets. With this significant increase in mobile-generated content, consumers are looking for easy ways to manage it all,” said Mark Eng, Country Manager, Singapore and Malaysia, SanDisk. First released in the US at the end of 2014, the iXpand is now available in Singapore. The USB flash drive makes it easy to offload content from your iPhone or iPad to free up the storage of the device, and to upload additional media or documents to the mobile device. You can also playback music, video and photos; or read documents directly from the device while it is plugged into the Lightning connector of the iPhone/iPad. On the desktop/notebook, the flash drive has a USB 2.0 port to plug in like any USB thumb drive. The new memory cards for action cameras are built to match the harshest conditions and enables the next generation of 4K Ultra HD video capture. Available in Singapore now in 32GB (S$49) and 64GB (S$99) capacities. The SanDisk Extreme microSD UHS-I cards are built for extreme durability. Available in Singapore now in 32GB (S$49) and 64GB (S$99) capacities. The new SanDisk Extreme microSDHC/microSDXC UHS-I memory cards for action cameras give extreme sports enthusiasts the speed, quality, capacity, and durability they need to confidently capture the moment in breathtaking detail. “We are committed to offering customers a range of memory solutions that stand up to environmental extremes, including temperature, water, shocks and x-rays. These new memory cards give users the confidence that their high quality video will be there to share with others when the adventure is done,” said Mark Eng, Country Manager, Singapore and Malaysia, SanDisk Corporation. Now rated UHS Speed Class 3 (U3), these fast, high-performing cards are well-matched with action cameras, as they deliver the performance required to capture Full HD and 4K Ultra HD action video. The SanDisk Extreme microSDHC/microSDXC UHS-I memory cards for action cameras offer read/write speeds of up to 60MB/s/40MB/s to enable users to capture the most daring adventures in stunning detail. With the new cards, action camera users can quickly transfer files and view their thrilling adventure on today’s new 4K TVs and monitors. Perfect to endure all the action, the cards are waterproof, shockproof, and X-ray proof, and are capable of operating in temperatures ranging from -13 to 185 degrees Fahrenheit. Both the 512GB Extreme PRO SDXC UHS-I memory card (S$1080) and the 64GB Extreme PRO microSDXC UHS-I memory card (S$179) enable capture of 4K Ultra HD and Full HD video, as well as fast-action photography. Left: 512GB Extreme PRO SDXC UHS-I memory card (S$1080); and Right: 64GB Extreme PRO microSDXC UHS-I memory card (S$179). SanDisk boasts that the 512GB Extreme PRO SDXC UHS-I memory card is the world’s highest capacity SD card on the market. The new offerings are designed to meet the demands of industry professionals who require the most advanced gear available for shooting 4K Ultra High Definition (3840×2160 pixels) video, Full HD video (1920×1080) and high-speed burst mode photography. Built for the Pros Since SanDisk unveiled its first 512MB SD card in 2003, capacity demands have increased exponentially and the new 512GB SanDisk Extreme PRO SDXC UHS-I card represents a 1,000-fold capacity increase in just over a decade, yet maintains the same size footprint. “4K Ultra HD is an example of a technology that is pushing us to develop new storage solutions capable of handling massive file sizes. The 512GB SanDisk Extreme PRO SDXC UHS-I card is a tremendous advancement that enables professionals to reliably store more content on a single card than ever before,” said Mark Eng, Country Manager, Singapore and Malaysia, SanDisk Corporation. SanDisk’s most powerful and highest capacity SD UHS-I memory card yet, the 512GB card delivers write speeds up to 90 MB/s and UHS Speed Class 3 (U3) recording speed for high resolution, real-world color and stutter-free 4K Ultra HD video. Transfer speeds up to 95 MB/s move data quickly for efficient post-production workflow. The SanDisk Ultra Fit USB 3.0 Flash Drive is currently available in Singapore and on www.sandisk.com in 16GB (S$13.90), 32GB (S$25.90) and 64GB (S$52.90) capacities. “As a leader in the flash storage space, our goal has always been to deliver the best, most reliable products,” said Mark Eng, Country Manager, SanDisk Singapore and Malaysia. SanDisk today announced the release of the high-speed SanDisk Ultra Fit™ USB 3.0 Flash Drive that delivers exceptional performance in a tiny form factor, while providing expanded storage for PCs and other devices. “While there are other USB 3.0 products on the market, SanDisk’s Ultra Fit USB 3.0 Flash Drive offers consumers superior performance and impressive capacity in an extremely compact design,” said Eng. Media enthusiasts can now transfer a full-length movie in 40 seconds, enjoy transfer speeds up to ten times faster than standard USB 2.0 drives and be confident the streamlined USB will offer reliable storage in minimal space. The SanDisk Ultra Fit USB 3.0 Flash Drive builds upon the success of the popular Cruzer Fit™ USB flash drive. The “plug and stay” device is a low-profile, compact 2.0 USB solution to expand a device’s storage capacity. From 29 March, the SanDisk Connect Wireless Flash Drive and SanDisk Connect Wireless Media Drive will be available in Singapore at Challenger Technologies Limited, Sprint-Cass Pte Ltd, Nubox and Gadget World. Prices below. SanDisk Connect Wireless Flash Drive (left) and SanDisk Connect Wireless Media Drive (right) will be available in Singapore from this Saturday. The SanDisk Connect line of products is compatible with iPhone, iPad, iPod touch, Kindle Fire and Android devices as well as PC and Mac computers. Movies, music, photos and documents can be loaded by simply dragging and dropping the files, and accessed via the SanDisk Connect apps available for download from the App Store, Google Play Store and the Amazon Appstore for Android.